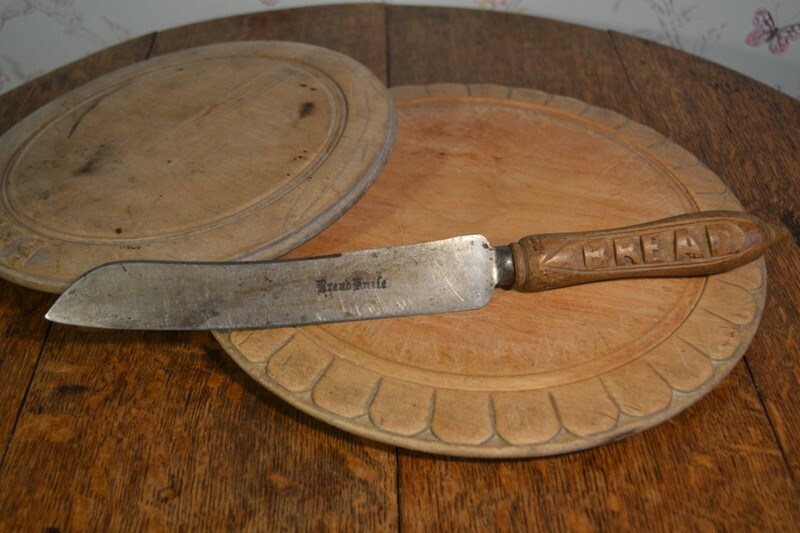 A 19th century bread knife, with a nicely turned & carved 'Bread' Beech handle. The original heavy steel blade is embellished with an engraving of 'Bread Knife' in traditional English gothic script. Original condition with some light tarnish to the blade.